The vibrant, cosmopolitan capital of Wales has an abundance of attractions, culture and leisure facilities including its fairy-tale castle and the famous Millennium Stadium, plus acres of lush parkland and first-class shopping opportunities. The vibrant, cosmopolitan capital of Wales has an abundance of attractions, culture and leisure facilities including its fairy-tale castle and the famous Millennium Stadium, plus acres of lush parkland and first-class shopping opportunities. 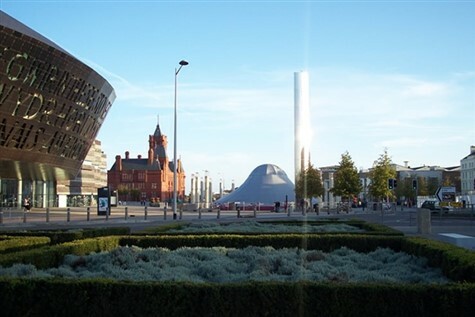 The attractive Cardiff Bay waterfront area with its old wharfs, new piers and glass fronted restaurants, is home to the impressive Welsh Assembly buildings and the iconic Welsh Millennium Centre. Located on the outskirts of the city is the fascinating St Fagans Natural History Museum, one of Europes leading open-air museums with exhibits from Celtic times to the present day. We journey south west to the fascinating St Fagan's Natural History Museum (Free Entry). Located on the outskirts of the city, it is one of Europe's leading open-air museums with exhibits from Celtic times to the present day and tells the story of how Welsh people lived through the ages. In the afternoon we continue to our hotel for our overnight stay. A morning at leisure for shopping or to explore the city centre. You might like to visit the castle with its Norman Mote and tower, and the fine 19th Century state apartments. In the afternoon we visit the attractive Cardiff Bay waterfront area with its old wharfs, new piers and glass fronted restaurants. Here you'll be free to discover the impressive Welsh Assembly buildings, the iconic Welsh Millennium Centre and the pretty Norwegian Church Art Centre before returning home late afternoon. This classic Victorian building enjoys a prime location in the heart of Cardiff and offers classic air-conditioned bedrooms next to Cardiff Castle and 150 yards from the Millennium Stadium. It has an elegant restaurant and bar.